Where to buy recyclable tableware? Oil, coal, natural gas – it is from these non-renewable natural resources that 99% of all polymers and plastics are made today. And this is despite the fact that in the middle of the last century the process of obtaining polymers from vegetable raw materials was invented. But if then the method turned out to be unpopular – due to the high cost and high labor costs, now production from renewable resources, on the contrary, is gaining momentum. The reason is simple: oil reserves are not unlimited, and for the environment, making plastic from plant materials is much safer. Safe for the environment. The term decomposition of bioplastics is about 180 days, whereas plastics of hydrocarbon raw materials decompose in the natural environment to several hundred years. Non-toxic. The process of production and decomposition of traditional plastics involves the release of toxic substances into the environment. In this regard, eco-friendly tableware are safe for nature and people. Allows you to reduce emissions. Extraction of raw materials does not require the development of deposits of fossil fuels, and the production practically does not emit harmful compounds and greenhouse gases. Easier to recycle. Bioplastic processing is more efficient and less energy-intensive than conventional plastic. Wide operating temperature range. Such containers allow safe storage of food in the freezer, as well as heating of food in the oven and microwave. The convenience of use. Utensils from biodegradable polymers are durable, lightweight and comfortable. 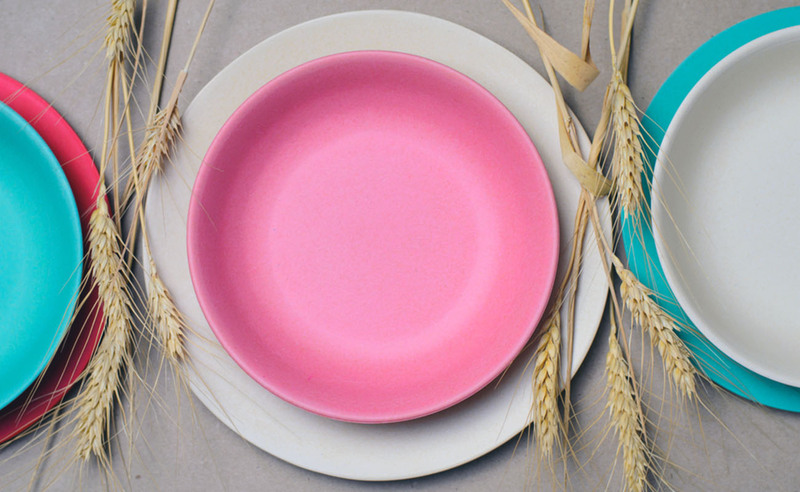 You’d be surprised, but biodegradable plates and cups today are made from the most unexpected materials. At the same time, its quality is significantly higher than that of ordinary plastic utensils based on hydrocarbon raw materials. Bioplastics produce lunch boxes, storage containers, food pads, plates, glasses, and cutlery – all this can be used for catering, picnics, restaurants, fast-food outlets, schools, etc. We name the most common types of vegetable raw materials used for the production of eco tableware. It is corn starch that is today one of the most popular types of plant raw materials used for the production of bio tableware. This is due to the properties of the material: full biodegradability, safety for the environment, lack of toxins, resistance to very low and high temperatures, fat and water resistance. 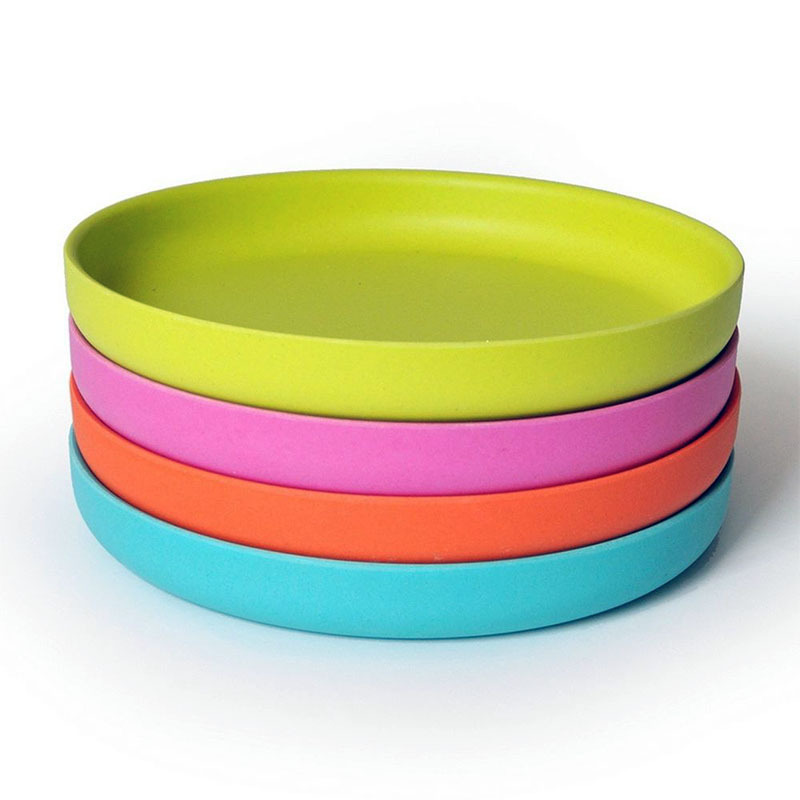 Moreover, in such a dish the food can be stored for a longer time as compared with counterparts from ordinary plastic. 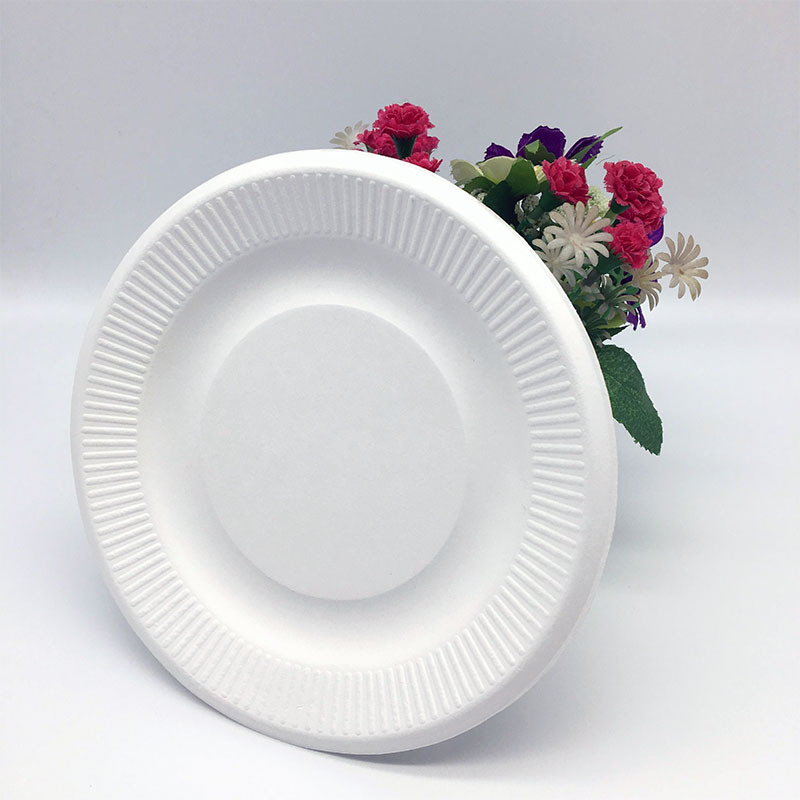 Externally, cornstarch dishes look like food-grade plastic, but they are more pleasant to the touch, more elastic, and have a light cream color. Such dishes look very natural – you immediately understand that it’s not ordinary plastic, but eco-friendly. And in terms of the properties, wheat straw dishes are hardly inferior to the one about which we described above. Raw materials are prepared by thoroughly crushing wheat straw (sometimes other cereals can be used as source material) and mixing the mass with other natural ingredients. The result is a homogeneous pulp, which is then spread into molds and pressed under pressure. As a result of the molding, a finished product is obtained, in which irregularities along the edges are cut off. The use of the press allows achieving high strength products that retain their shape for a long time. More precisely, bioprocessing from bagasse, fibrous remnants of sugarcane, which remain after squeezing the juice out of it. Characteristics: durable, resistant to deformation, easier to dispose of (can be used as a compost), resistant to temperature extremes, has a high moisture resistance, does not emit carcinogens in contact with food. 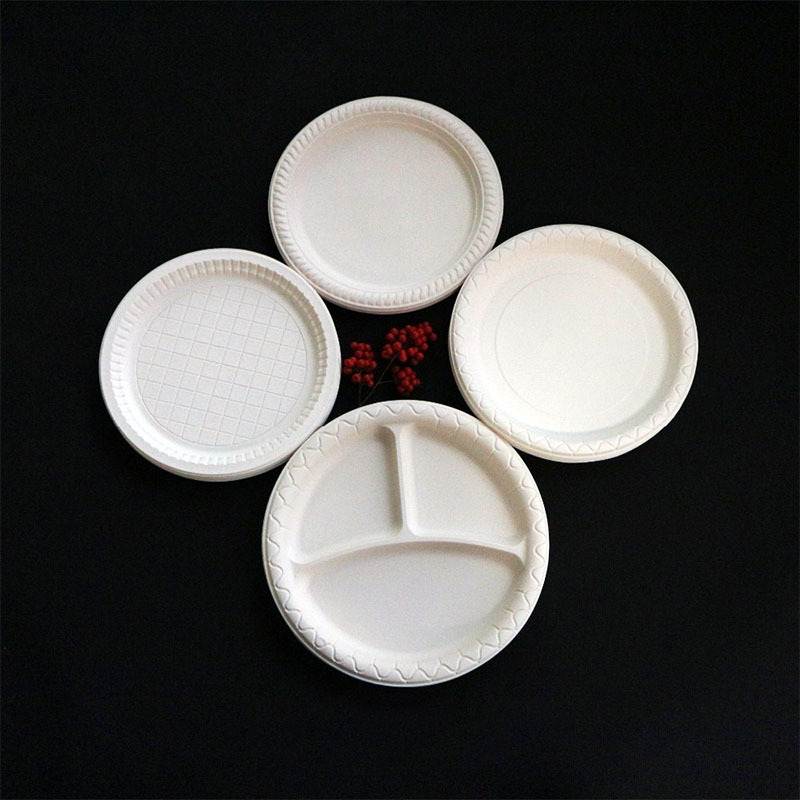 Sugar cane dishes are white in color, the material is like paper, pleasant to the touch. Bamboo dishes, which have a bright design (dyes are extracted from vegetables and plants), may well replace glass and ceramic. It is light, durable, eco-friendly, safe for nature and human health, both during use and after disposal. In addition, the production method does not involve chemical treatment: the leaves, bark, bamboo shoots are pressed to give them the desired shape and then harden. Bamboo dishes have antimicrobial properties, resistant to temperature extremes and will last for a very long time with careful use and proper care. Biological tableware is not widely distributed now, but many people have already picked up the trend towards its production. 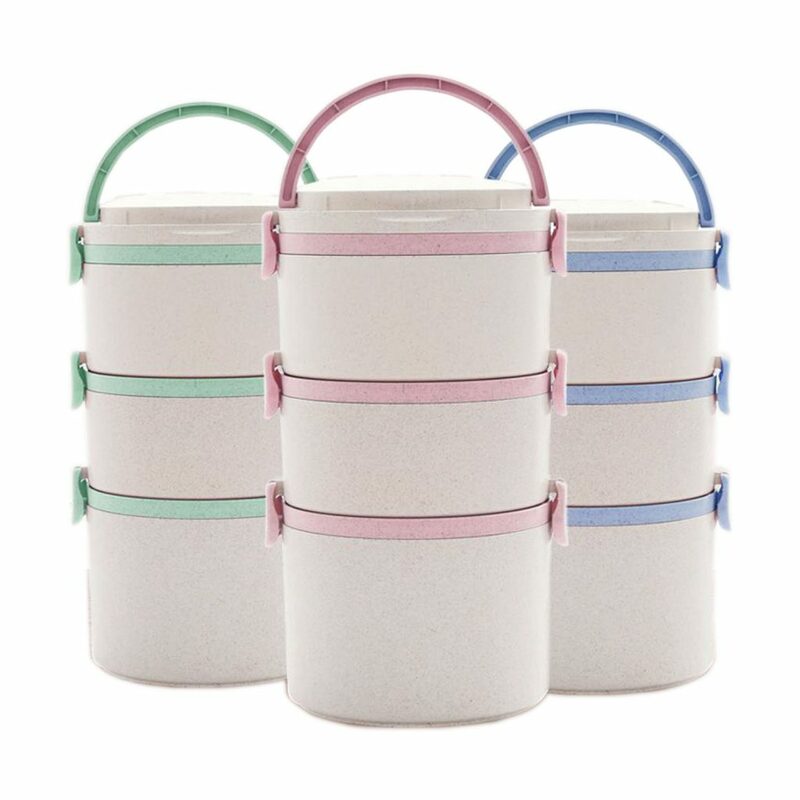 Lunch boxes made of wheat straw are available in our store. We support such initiatives and advise the next time when for one reason or another you need disposable utensils, pay attention to its eco-friendly option.